Great knowledge, host is a bit over the top. Love the tips and tutorials but I would prefer the delivery to have a bit less cheese and drama. Otherwise, great podcast. This podcast is great. You will learn a lot about the features of photoshop. As a fellow Photoshop podcaster I always look to Russell first to see what is new and interesting in Photoshop. Russell is fun but always delivers superior content no matter what he covers. With Russell's show I always feel I am getting the real deal, straight from Adobe but with a sense of humor and playfullness. We need that. Giving only two stars because you don't understand or like a humorous delivery does this podcast a great injustice. Everyone is entitled to their opinions however irrational it may be. That said, the Russell Brown Show is that one podcast no Photoshop user should miss. I have seen all the simular podcast on iTunes and the Russell Brown show is at the top of my list for the usefulness of its content and the fun way Russell presents it. There is something here for everyone, even those who can't take a joke or insist on a strict no fun learning curve. You will definately learn some cool Photoshop tips and secrets if you subscribe to the Russell Brown show. You will also smile as Russell uses his unique brand of humor to cut through Photoshop's learning curve. I recommend it highly and gave it 5 stars. 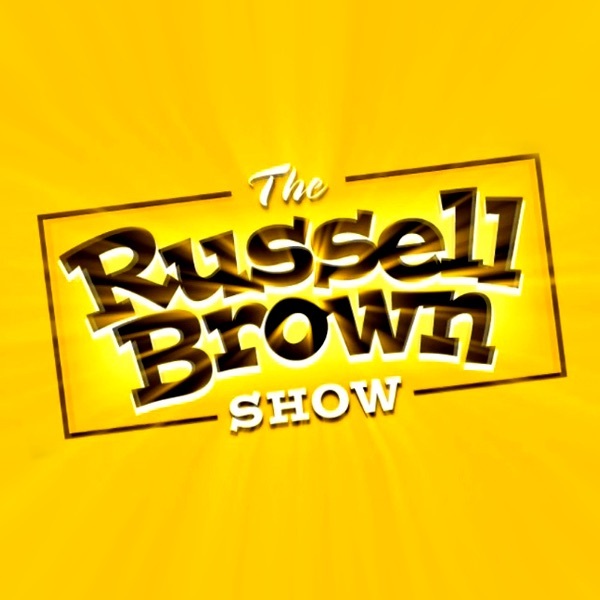 I can't help but wonder if some of the people who gave this podcast negative reviews even understand who Russell Brown is. Russell Brown is the Sr. Creative Director at Adobe and has been teaching people how to use Photoshop longer than just about anyone else out there. To say you don't like his style is one thing but to call him an amateur is to show your own ignorance of this industry. Admittedly, he does have a unique sense of humor that is obviously not appreciated by everyone but give the man some credit - the info is golden and from what I understand, he offers a 100% money back guarantee on all his podcasts. Rustle up some new skills with Russell Brown! Russell P. Brown is the most entertaining way to learn Photoshop. To to point, helpful tips and tricks that you will use over and over again. And, he keeps you smiling along the way. A stunning display of educational bench strength. Mere words can not describe the exhileration and revelation that Russell's lectures reveal. A must listen for all. Russell is hot and on the cutting edge. It's hard to believe a guy so "in the know" is so willing to share. I am so glad to be "plugged in" to The Russell Brown Show. It's unfortunate when podcasters try to deliver comedy with their podcast or attempt to sound dramatic. While this podcast clearly provides great information it is tedious and boring listening to the amateur delivery. This completely ruins the podcast. Russell Brown teaches like a grade school teacher in a special ed class. Perhaps some of the other reviewers are on the young side so he might appeal to that audience but for the serious user the verbal presentation is tedious at best. He would be much better conveying his message without the histrionics and overly dramatic delivery. ......(he just doesn't know it). Doc Brown's Photoshop tips (some should be kept secret) have saved me many times and given me ideas as to what to do with some of my projects. If you ask me, I think he gives Thomas Knoll lessons about Photoshop. This is the best show of all for anyone trying to learn photoshop. I can't wait till the next one comes out. Thank you Dr. Brown! Ha Ha Ha!! Great content. Great Man. Great Video!! Viva la Brown!!! Russell Brown is the undisputed most entertaining photoshop idiot savant on the planet. Visit his website to download the Merge-o-matic and place-o-matic utilities which are incredibly helpful. The delivery is of course intentionally flamboyant in order to make a very bland subject at least watch-able and amusing. Great tips and techniques, if you want to learn things you never knew existed in photoshop you have to check this out! Hysterical way to learn some new tips! If you want something comprehensive and in depth go buy a book, but if want to experience Russell Brown and get some good learning along the way you will enjoy this podcast. Short tutorials that are easy to follow along with.